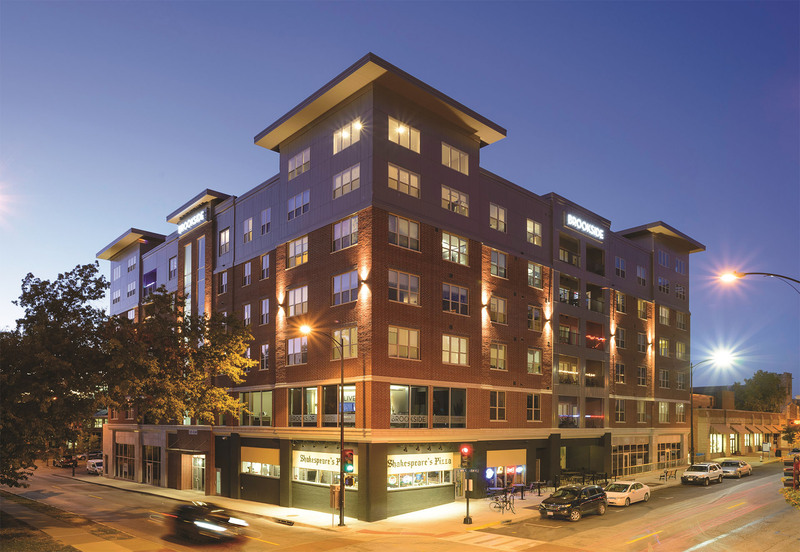 This mixed use project has a mixed construction type of precast concrete for the podium and five stories of 3A wood construction above. Property features 48 residential units, an interior corridor and elevator. It also houses a retail leasing facility on the second floor and retail/restaurant users on the ground floor.